EU’s GDPR came into effect on May 25, 2018. The primary purpose of GDPR is to define standardised data protection laws for all member countries across the European Union and EEA members. GDPR Art. 37, ”Designation of the data protection officer” outlines that need for a Data Protection Officer(DPO) for organizations that has to comply with the regulations. When do businesses need to appoint a Data Protection Officer (DPO)? If your organization doesn’t fall into one of these categories, then the organization do not need to appoint a DPO. The controller and the processor can either designate a data protection officer or a group of undertakings may appoint a single data protection officer provided that a data protection officer is easily accessible from each establishment. The primary role of the data protection officer (DPO) is to ensure that their organisation processes the personal data of its staff, customers, providers or any other individuals (also referred to as data subjects) in compliance with the applicable data protection rules. In the EU institutions and bodies. 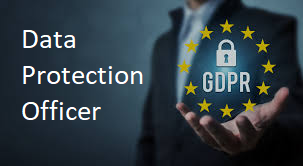 Depending on the organizations size, a Data Protection Officer should be a qualified individual with sound knowledge in Security and Privacy of data. He/she should be well versed in GDPR compliance regulations. A DPO should have thorough understanding of the organizations structures. policies and procedures. He/she should be able to work independently with the top tier management people and should be free to make decisions keeping privacy of data subjects as focus. Draw the institution’s attention to any failure to comply with the applicable data protection rules. ?The violation of the DPO related provisions of the Regulation may cause huge administrative fines (up to 10 000 000 EUR, or up to 2% of the total worldwide annual turnover of the preceding financial year, whichever is higher). Experts at EHR 2.0 can help organisation of any size become compliant with GDPR with our online DIY toolkit offerings or through consulting services.